Liberty Township firefighters are asking folks to donate to a GoFundMe account to help raise funds for one of their own. 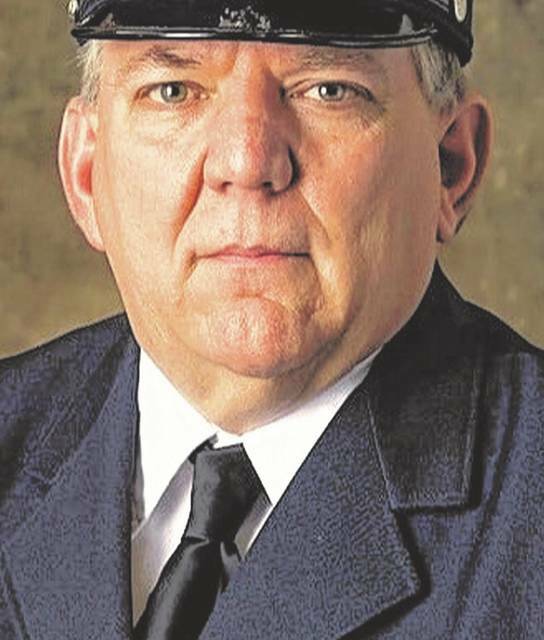 Firefighter Darrel Wasmer, a 24-year veteran of the township’s fire department, is fighting for his life. He was diagnosed with non-Hodgkin lymphoma in 2016 and was recently diagnosed with amyloidosis. “This fund will go directly to Darrel to continue his fight and assist with purchasing insurance and paying his medical bills,” states the account. Doug Stern, a spokesman with the Ohio Association of Professional Fire Fighters, said in a nutshell, firefighters have a greater exposure to carcinogens due to battling fires. In a regularly scheduled trustee meeting Sept. 4, a unanimous vote was cast by the Liberty Township Board of Trustees approving a verbal resolution to terminate Wasmer’s employment with the township. “After 47 years of decorated and respected public service to the Buckeye State, the Industrial Commission of Ohio determined that Darrel Wasmer had contracted cancer as result of his duties as a fireman. For the past 24 years of his service, Darrel has been a dedicated member of the Liberty Township Fire Department. Sadly, Darrel is losing his battle with cancer. While fighting for his life he continues to defend his benefits from Liberty Township. The Township’s opposition to Darrel’s claim for benefits under workers’ compensation law and interference with his insurance coverage have placed him and his family in a precarious financial position, adding further stress and emotional burden on a terminally ill public servant, who has put others first and self-second, as evidenced by the awards and commendations he has received for saving lives. Firefighter Wasmer could not be reached for comment. However, according to documents, Wasmer did apply to the Ohio Bureau of Workers’ Compensation in June 2017, but the claim was denied in July 2017. He filed an appeal with the Ohio Industrial Commission seeking to have the decision vacated, but it was disallowed. Wasmer filed appeals four more times with the commission before it vacated the BWC decision that Wasmer’s cancer wasn’t work related. “All medical bills related to the allowed condition shall be paid in accordance with Industrial Commission and Bureau of Workers’ Compensation rules and regulations,” states the commission’s final decision. Cathy Buehrer, Liberty Township human resource manager, said the situation with Wasmer has been ongoing since August 2016. Buehrer said there is a policy that would’ve allowed other township employees to donate their vacation time to Wasmer, but said to her knowledge that such a request was never made. However, Buehrer did mentioned that the township had filed an appeal with the Industrial Commission. She said it was unusual that Wasmer was denied his claim several other times before it was overturned. Wasmer filed in Delaware County Common Pleas Court on May 10 against the township and Ohio BWC. “Plaintiff, Darrel L. Wasmer, prays for the right to continue to participate in the benefits provided by the Ohio Workers’ Compensation Act for the aforementioned allowance… ,” states the complaint filed with the court. According to the court documents, the township petitioned the court for a summary judgment, but Wasmer is asking for a jury trial set for April 2019. Leneghan said Friday in a phone interview with The Gazette that she had no idea what the executive session was about nor did she know that the board would come to a decision that night. Leneghan said that Wasmer no longer resides in Ohio nor holds an Ohio driver’s license. Trustee Mike Gemperline’s vote came with a comment. In a phone interview Friday, Gemperline clarified the statement. Eichhorn could not be reached for comment. The Gazette requested a copy of the resolution from Buehrer who responded via email, sending a draft copy of the minutes from Sept. 4 and a statement. Go to https://www.gofundme.com/cvcn7-firefighter-battling-cancer to donate to the GoFundMe account for Wasmer and his family. This entry was tagged D. Anthony Botkin, Darrel Wasmer, Eichhorn, Gemperline, IAFF Local 3754, Leneghan, Liberty Township Fire, Trustees. Bookmark the permalink.